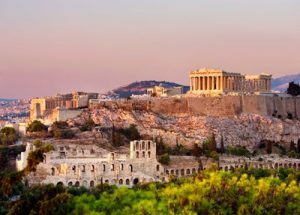 Viking has announced a new 11-day ocean cruise itinerary, Greek Odyssey, that will allow guests to explore the ancient empires of antiquity of the Aegean Sea during the quiet season. Sailing roundtrip from Athens starting in January 2021, the new itinerary features three new ports of call for Viking, including Volos, Thessaloníki and Nafpilo in Greece, as well as a stop in Ephesus, marking the company’s return to Turkey; and it is priced from $5,495 per person. · Ephesus (Kuşadasi), Turkey: One of the best-preserved cities of antiquity in the world, guests can visit the remains of the Byzantine Basilica of St. John, take in sights such as the massive Great Theater and the magnificent Library of Celsus, or see the modest home where, according to legend, the Virgin Mary lived out her final days. · Volos, Greece: Now a modern, cosmopolitan port city, this region was once thought of as the playground of the gods. Guests can experience the stunning scenery of Meteora, where medieval monasteries stand precariously on hilltops, or explore the ancient religious center of Dion, located on the foothills of Mt. Olympus. · Thessaloniki, Greece: Greece’s second-largest city offers an exhilarating mix of ancient culture and modern life. While in port, guests can walk the vibrant waterfront promenade with its many cafés and restaurants, or venture outside the city to the remains of the ancient Macedonian kingdom of Alexander the Great. · Nafpilo, Greece: Set between breathtaking mountains and the Bay of Argos, Nafpilo is one of Greece’s most beautiful and romantic port cities. Guests can discover the charms of its Venetian homes and Byzantine churches, take a drive to Palamidi, an imposing fortress towering over the city, or travel to the nearby Peloponnese peninsula, an ancient area rich in history. · Scenic cruising: Mt. Athos: During the one sea day on this itinerary, guests will sail past the majestic slopes of Mt. Athos, a UNESCO World Heritage Site and the spiritual capital of Orthodox Christianity. Called the “Holy Mountain,” the peninsula’s soaring peaks are home to 20 monasteries whose monks work to preserve and catalogue a vast collection of liturgical works and art.